Over the long course of the Final Fantasy franchise there hasn’t been a set of games more divisive than the Final Fantasy XIII set. While a number of people took issue with the first Final Fantasy XIII, I found it to be a nice change of pace thanks to its brand new gameplay mechanics. Now we have the third game in the Final Fantasy XIII series, Lightning Returns. With a large set of changes to the gameplay, including a counter, and the focus on Lightning alone, is Lightning Returns: Final Fantasy XIII worth your time? Gamers who are unfamiliar with the first two Final Fantasy XIII games are probably going to be very lost as they step into the world of Lightning Returns, as even returning players will be caught off guard by a number of events. Still, for newcomers there are recaps explaining Lightning’s history with various characters and main events from past games, but not enough to warrant complete understanding of the story at this point, that is if you were able to follow it entirely in the first place. Now, after the events of Final Fantasy XIII-2 500 years have passed and Chaos has swept across the land, destroying everything it touches and summoning monsters to eliminate the last remnants of human kind. Over these five hundred years, time has ceased to progress for humans. No one ages, but the populace continues to dwindle as not only can people still die from illness or monsters attacking, but no one can be born into this world on the brink of destruction. Lightning has been summoned as the Savior for this world by the god Bhunivelze but rather than save the world from destruction, Lightning’s job is to save as many souls as she can so that they can be reborn into the new world that Bhunivelze is planning on creating. With the god set to awaken in thirteen days, Lightning is given a set amount of time to try and save as many souls that she can with the reward being that Bhunivelze will resurrect Lightning’s sister Serah. However, the current pace of the Chaos’ spread is set to destroy the world long before Bhunivelze’s awakening and as such, Lightning’s soul saving journey also extends the time that the player has left with the game and if they should fail, it means game over. 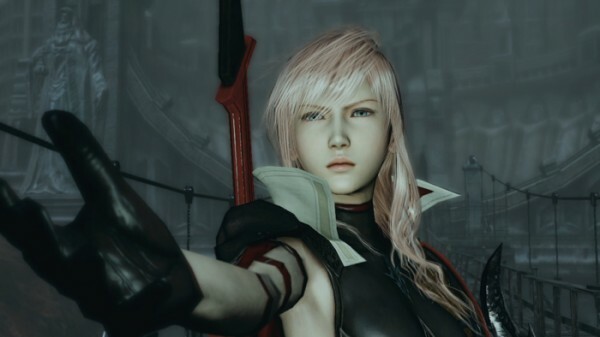 Lightning Returns stays true to the serious storyline that the series has retained throughout the three games, though there is some light-hearted banter between Lightning and Hope, Lightning’s ever present guide and assistant. Many old faces from past games appear and Lightning will either need to face off against them and help them through their problems. 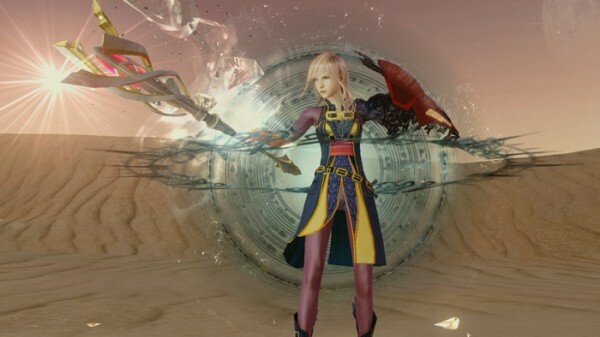 With a somewhat easier to follow storyline than past games, though one that loves to divulge a lot of information at one time and has a couple of interesting occurrences in store, players will find satisfaction with the way that Lightning Returns concludes the story, if you can make it to the end of course. 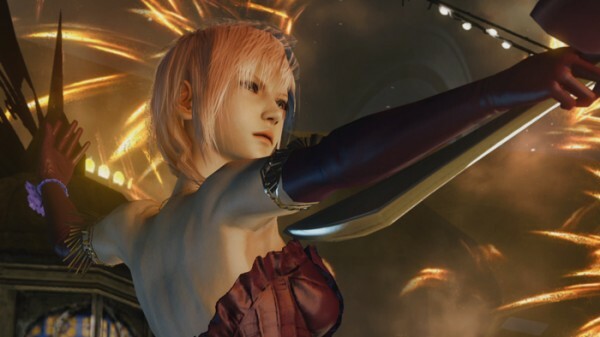 Now the Final Fantasy XIII games have been changing up their gameplay since the first time around but this time around, Lightning Returns pretty much abandons most of the pre-set paradigm battle system and instead adopted a more action based fighting system that works similar to the paradigm set up, but with more customization as players control Lightning as she fights alone. Players will now have access to three outfits called Schema which can be swapped between at any time. Each Schema has its own ATB gauge which fills up over time, faster if it isn’t being used, which means that players will need to keep on their toes and rapidly switch between Schemas to keep on the offensive or defend if necessary. These Schemas can be customized to a rather large extent, allowing players to equip four different abilities to each set and a different weapon, shield, and set of accessories for each one. Each Schema is set to one outfit, the outfit itself almost always offering various bonuses or hindrances. Outfits can add strength or magic damage, lock specific skills to your line-up, increase your ATB gauge, and other various things. These outfits can then be customized with a wide range of colors and adornments that players can find through completing missions or purchasing from shops, allowing players to dress up Lightning pretty much however they want. As mentioned before, once players equip an outfit, they can then assign up to four abilities, though it is possible that some skills will already be locked in place for certain outfits, change accessories and equip a sword and a shield. Herein lies the depth of Lightning Returns’ battle equipment system as not only do your weapons increase stats, but upgraded or rare abilities can also add stat bonuses. With the limitation of only having twelve or so abilities to work with, while also balancing physical, magical, debuffs, and defense all at once players are in for quite a lot of trial and error when they set up their character. There is a good reason for that as well when you consider how Lightning Returns handles leveling up and the battle system itself. 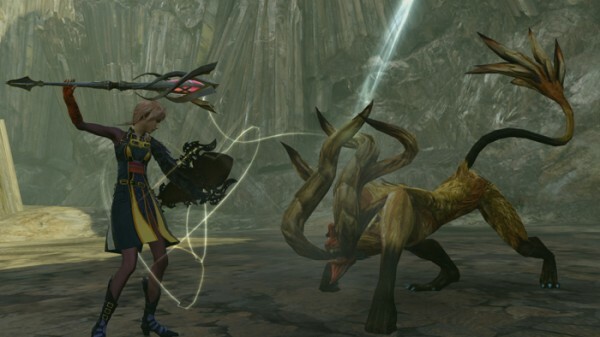 Fighting against monsters in Lightning Returns can be a fairly useless endeavor. While enemies still drop items and money, they no longer provide Lightning with any experience points, instead they give her energy points, or EP, that allows her to use a number of skills that allow her to teleport, heal her completely, freeze time, and other things. Instead players only level up by completing side-quests and main quests. 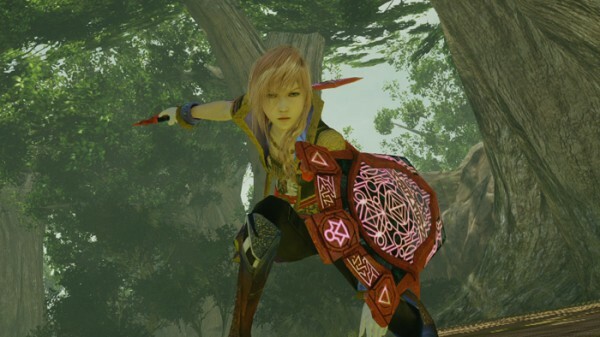 Being the Savior, Lightning has to help out those in need and as such there are numerous side-quests to complete that add to Lightning’s total health, strength, and magic level, as well as main quests that add a far larger amount to each value and occasionally come with extra boosts to total ATB or EP. Most of these quests are all fetch quests of different types, as players need to either find a lost item or defeat a certain number of enemies and collect their drops to turn in. There is some variety here but unfortunately a lot of it involves running back and forth for no reason other than to gain some stats. It is also necessary to complete these side-quests to extend the amount of time the player has at their disposal. As mentioned earlier, the Chaos will destroy the world faster than Bhunivelze will awaken and when players start the game, they will only have six days to work with instead of thirteen. They can extend time by gathering the souls of people through side-quests and main quests to add to the amount of days at their disposal, even though some of the tasks Lightning does for these people involve some mundane issues that pale in comparison to the end of the world. These stats will be necessary however as the battle system in Lightning Returns is far from forgiving and can take some time to master. Players will need to primarily focus on enemy weaknesses and stagger enemies to deal massive amounts of damage and facing off against more than one enemy at a time can put Lightning at a severe disadvantage even against weaker enemies. Players will need to figure out enemy attack patterns to learn how to time their blocks and take advantage of wide open enemies as combat can be incredibly deadly and fast paced on the Normal difficulty level. This is made even more difficult when you factor in that players can only carry around a small number of healing items or phoenix downs with them at any given time, making long journeys an arduous affair. Losing in battle punishes the player not with a game over, but with an “Escape” ability that requires 0 EP but sacrifices an hour of in-game time. This is even more troublesome when you factor in the fact that there really is no notification of how strong an enemy might be nor if Lightning will be up to the task of defeating it at this time. While some people complained that past Final Fantasy XIII games were too linear, Lightning Returns lets players travel wherever they wish almost right off the bat. This means that it is entirely possible to run into a strong near-end game boss only to be trounced and need to retreat until later. To top that off, enemies will not blink at targeting Lightning’s weaknesses in combat meaning that it is possible to be destroyed right off the bat if you aren’t careful. This open world factor also is an issue when you factor in how troublesome the in-game countdown is in Lightning Returns. Timers in RPGs are nothing new, as Atelier fans have been accustomed to limitations since the franchise began, but the way that Lightning Returns’ clock is always counting down is interesting in theory but poorly executed. Players are limited in every action they can do as it is almost impossible to do every little side-quest in the game, meaning players will need to prioritize some missions over others in order to properly progress through the game. 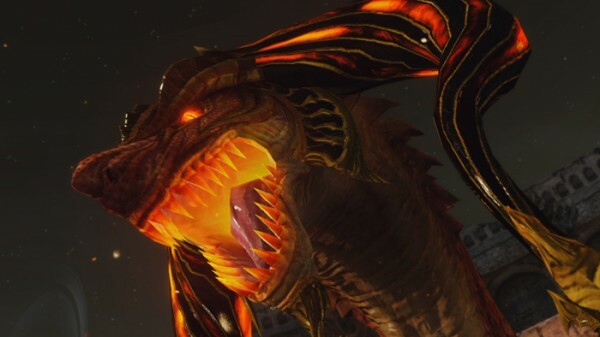 It also doesn’t help that a large number of side-quests, and doors required for specific missions, become unavailable at certain times of the day which means that players will need to kill time or venture elsewhere to try and gather more souls and grow stronger until those quests become available again. 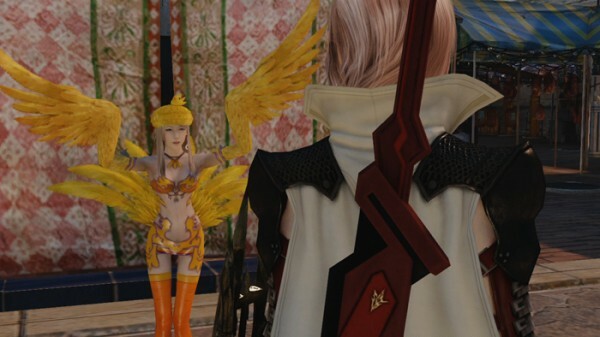 When players are exploring the world available to them, Lightning Returns offers four different lands to explore, two lively cities and two expansive areas with various places to explore and things to see. The Dead Dunes make use of teleport statues to allow for easier movement and the Wildlands eventually offer a Chocobo to ride on to see everything. 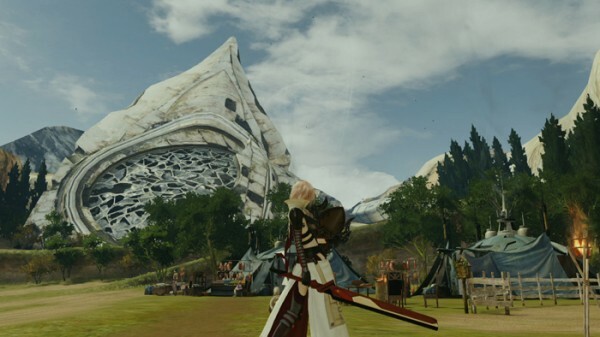 When they have time to explore it, Nova Chrysalia is an intriguing place with a lot to offer but the time system’s regulation on quests, and a mandatory transport back to the “Ark” at 6AM, even if you are preparing to fight a boss or completing an important task, is a constant bother. It is also worth noting that there is a New Game+ option that unlocks Hard mode, which has a few new items available, and also allows players to upgrade their swords and shields which is not available on the player’s first time through the game. But this mode only carries over Lightning’s stats and equipment, meaning that all quests will need to be completed once again to finish the storyline, though this does allow the player to try and finish other side-quests that they couldn’t check out the first time through the game. The world of Lightning Returns is quite gorgeous looking and the various environments the player can explore are fairly diverse looking, except for the desert of course which is littered with ruins instead. There is a feeling of life to the towns and the characters that populate the towns, as they will run from enemies or go about their daily lives. 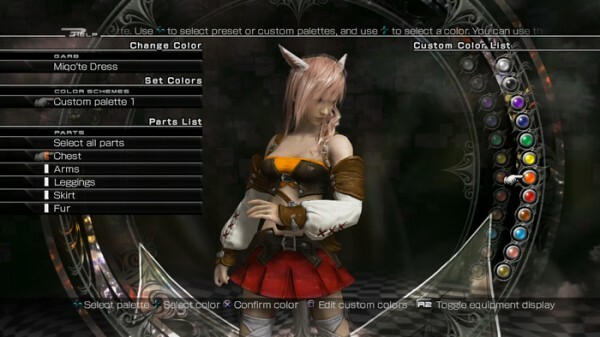 As for Lightning herself, there has been a lot of work dedicated to creating a lot of outfits for Lightning to wear. There are outfits that range from flowing evening gowns, to suits of armor, business clothing, and even a bikini like outfit to choose from. This means that while players can always choose to prioritize strength over appearance, they can also have fun dressing Lightning up in all kinds of strange outfits. Most of the clothing is nicely textured but some of the other textures in the world can look rather rough up close and small details are either rough looking or blurry. The voice work for Lightning Returns remains the same as what was offered from past games, with Lightning and all of the other characters retaining their voice actors. Lightning continues to sound very stoic throughout the game, but there are a number of really heartrending scenes involving past characters that really hit home thanks to how great the voice actors portrayed these scenes. That being said, Hope can be a real blabbermouth as he will constantly chime in with recommendations on what the player should be doing at any given moment, which often sees him repeating the same tired advice for a quest. Thankfully, Lightning Returns features some amazing sounding background music that ranges from orchestral exploration music to intense battle themes that make the game a treat for the ears. It is worth noting though that the critical health warning, which sounds like cymbals, is extremely annoying even when accompanied by the fantastic music that this game contains. Lightning Returns: Final Fantasy XIII has its issues but despite these problems, the game was still enjoyable almost from start to finish. 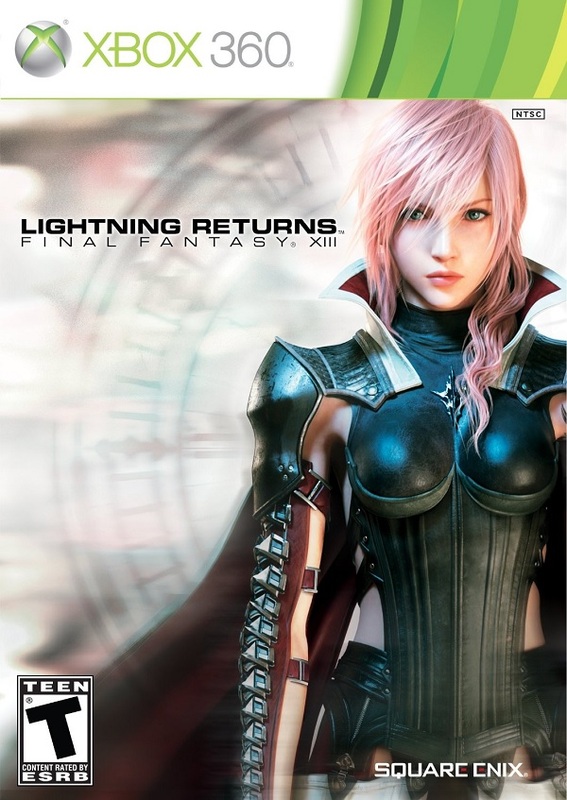 There are some frustrations to be had with the way the time system was implemented and the lack of guidance towards the stat system, but fast paced combat that, when mastered, is the best of the three games, a vibrant world to explore and a satisfying story to behold, Lightning Returns is a flawed but satisfying title that fans of the series should be able to enjoy.